Titanfall fans have anticipated a new title after how Titanfall 2 ended, leaving the narrative rather wide open for continuation. Silence has been the only news coming for a sequel. That is until this weekend. Within the last day, EA and Respawn Entertainment spontaneously released a brand new battle royale title, called Apex Legends. Apex Legends is based in the Titanfall universe, featuring similar mechanics, aesthetic, and gameplay. However, it lacks those iconic Titans. Shortly after the announcement, Lead Producer Drew McCoy revealed to Eurogamer that “Titanfall 3 isn’t in development.” This likely results from Titanfall 2 not meeting EA’s sale expectations back in 2016. While official sales figures never saw the light of day, analyst Morgan Stanley determined that Titanfall 2 sold about 4 million units. Despite these numbers, the future of Titanfall looked bleak. A great deal happens in 24 hours. With one tweet, Zampella generated a ton of excitement in Titanfall hopefuls around the world. Indeed, Apex Legends is not another Titanfall game. However, it could mean so much more to the franchise than any previous entry. As we all know, money talks. If a product has no money, it has no future. This is where, and possibly why, Apex Legends enters the field. A battle royale formula is perfect for generating revenue. The major upside is that this strategy allows a potential stream of funds for a new Titanfall game. The downside is that this might feel like a blatant cash grab. As a fan of Titanfall 2, I look at these last 24 hours with a positive air. Sure, Respawn did not announce an official Titanfall game. Instead, we got a free-to-play shooter with similar Titanfall mechanics and some unique features. Zampella officially announced that Titanfall’s future still exists. “This crazy universe” has room for more. In the meantime, we have Apex Legends to satiate our shooter needs. Even without the Titans, though, Apex Legends feels like Titanfall. It is still a fun, engaging game, especially for a free-to-play game. It might be a while before Titanfall officially sees daylight. However, at the end of the day, necessity creates opportunity. 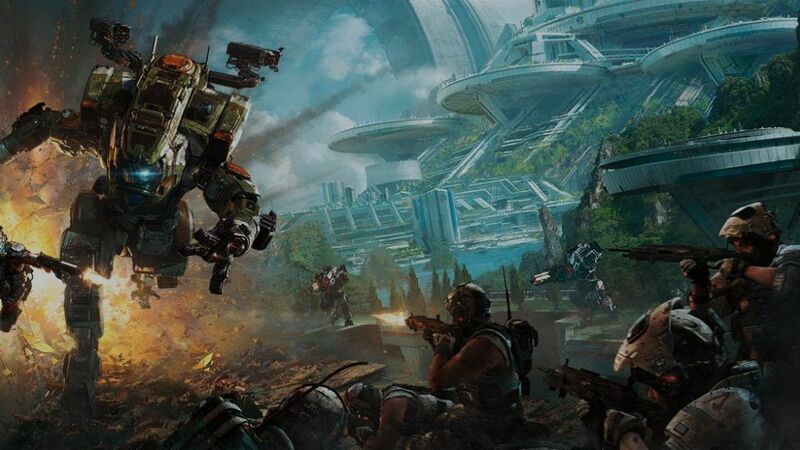 A battle royale mode has such a lucrative potential, and the Titanfall universe is complicated and big enough to support such a mode. If this is what Titanfall needs to stay in the game, then I’m personally all for it. I’ll support whatever it takes to see more Titanfall. This article doesn’t at all explain its title.